What is this so-called “witching hour” that babies have? No parent needs to have it defined, because they’ve all been through it. It’s that period of time when the baby seems utterly inconsolable. There are those who would be eternally grateful if it only lasted an hour. For some it happens around the evening mealtime, for others it’s later in the evening and for others still, it may happen in the middle of the night or early morning hours. Whatever the time of day, Baby will cry and cry with what seems like no relief in sight for the upset infant or her harried parents. Parents will (and have) tried anything they can think of to end this torment, often to no avail. This is particularly frustrating for first-time parents. So what can they do? These ten tips may not stop the baby’s crying, but they could help keep your own tears at bay. Stay Calm – The most important thing for parents to do is remain calm, even if it is much easier said than done. It’s probably the most difficult thing to accomplish, especially for new parents. One thing you have to do is not take it personally. Although it may seem like it, the baby is not doing this to torture you, and your inability to soothe her is no reflection on your abilities as a parent. She’s bound to pick up on your emotions, so the more stressed you get, the more stressed she will feel. Take a deep breath, think pleasant thoughts and proceed through the event calmly. Be Available – If this starts happening with your baby, it won’t take long for you to recognize a pattern. Usually there’s a certain time of day that everyone is feeling tired and stressed, so this is often when the witching hour begins. Free up your schedule to make sure you’re available at that time of day. If you’re feeling rushed or distracted by other duties, then that will only make matters worse. Learn to anticipate when this is going to happen and be ready for it. This is a time when your baby needs nothing more than you. Establish a Routine – Devise a series of steps to go through each time this happens. By developing a routine, eventually you and the baby may find a combination that works. If nothing else, having a plan will keep your mind occupied and less concentrated on the screaming baby. Dress for Comfort – You’re much more likely to make the baby more comfortable if you are too. Get out of your street clothes and slip into something more comfortable. This will make it much easier to relax and snuggle with the baby. Get Some Fresh Air – Sometimes one or both of you could do with some fresh air. Your baby may not be fazed by the shift, but a change of scenery couldn’t hurt your emotional state. Do whatever helps you stay calm and relaxed. That may be a long, brisk walk or a casual stroll around the neighborhood. Perhaps just sitting in a porch swing or deck chair is what you need to chill out. Relax – A fussy baby is so stressful to parents that the baby is bound to feed off that negative energy and become even more distraught. It’s a vicious cycle that can escalate very quickly. Though it may seem nearly impossible, it’s crucial that a parent learns to relax during these episodes. Eventually, your baby will pick up on the relaxed energy and calm down. Cue the Music – Playing music has a dual purpose. The first is to create an atmosphere to soothe both the parents and the baby. The other is to help drown out the constant wailing. It doesn’t matter what kind of music you play, so you needn’t torture yourself with soothing lullabies unless that’s something that works. If some good old rock-n-roll helps you calm down and relax, go for it! Look for Distractions – Besides music, use whatever you can for distractions. Watch television, play video games, read a book or do whatever helps keep your mind off the constant crying. Sometimes you just have to wait for the baby to get over it, so it helps to have something to occupy the time. Invest in Headphones– If the sound of the baby crying is preventing you from staying calm and relaxed, then maybe noise reduction headphones are in order. While you don’t want to use head phones with the intent of ignoring your baby, if your ears can’t take it they can be a helpful tool allowing you to meet your baby’s needs more calmly. Have Patience – The final item you need in your arsenal to survive the baby’s witching hour is patience. Although it really seems like it, these episodes won’t last forever. It’s impossible for a baby to continue crying 24/7, and whatever the cause, the daily ritual will eventually diminish and come to an end. All you can do is wait it out. Parents are quick to exchange horror stories about their baby’s fussy periods. Some can go on for months, but once they’re done, the trauma rapidly fades into a distant memory. All the sleepless nights and stress-filled days are replaced with the next stage in their little darling’s development. Fostering a love of music in your children helps them to learn the value of beauty and artistic expression, and to appreciate the humanities in ways that kids without artistic instruction may miss. A recent study by Northwestern University published in the journal Neuroscience also shows that even a few years of musical training builds listening and learning skills that persist well into adulthood. In fact, older adults that had even limited musical instruction tended to perform better on some cognitive tests than others in their age groups that never studied music. With the benefits of musical instruction being so well documented, the only real challenge for parents’ lies within convincing a reluctant child to sit down at the piano bench for an hour every day. 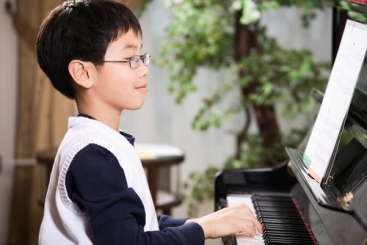 These tips can help you create an environment that fosters piano practice, improving your child’s ability to play and his cognitive processing abilities. Set a Consistent Practice Schedule – Kids thrive under a consistent routine, and their musical practice sessions are no exception. When your child knows that he practices piano for a specified period at a set time each day, he’s less likely to resist than he would if the schedule were less defined. Rather than taking a slapdash approach to practice by fitting time in as it becomes available, try to set aside the amount of time his instructor recommends every day at the same time. Use a Timer – A silent timer that doesn’t tick as it counts down is a great tool for helping your child keep track of how much time is left in a practice session. When she’s not stopping her practice every five minutes to ask you if her time is up, she can give herself over and apply her undivided attention to the task at hand. Offer Rewards – There’s a fine line between bribery and a reward system, but it’s often much easier to inspire a child to take on a task that she’d rather ignore when she knows that there’s a reward of some kind waiting for her on the other side. Let your child know that successful completion of the piece she’s working on will net a trip to the park or a favorite dinner. In most cases, she’ll be so caught up in the challenge of reaching her goal that she doesn’t even think about ways to avoid practice. Make a “Practice Before Television” Rule – Limiting kids’ screen time is important, especially when they have other tasks that they should be seeing to. Rather than allowing your child to blow his entire allotment of television time the moment he gets home from school, thereby eliminating an incentive to complete important tasks, establish a system of finishing homework and practice before television. With the joy of zoning out in front of the tube dangling like a carrot before him, you may find that he approaches both his piano lessons and his schoolwork with more gusto. Offer Plenty of Praise and Encouragement – The sense of accomplishment that accompanies the mastery of a complicated new piece is a reward in and of itself, but your child also needs to know that you recognize his efforts and the achievement of his goals. Be sure that you’re offering your child plenty of encouragement and recognition for his efforts, as well as praise for a job well done. Since kids that participate in music programs tend to have higher SAT scores than their non-musical peers and are more likely to graduate high school, piano and other musical instruction is an investment in your child’s future that can pay off in spades. Helping him to stick with his commitment and encouraging his continued participation is one of the best things you can do for your child. As a parent, you understand that visits to the pediatrician are essential when your child is sick or exhibiting symptoms of a medical condition. When she’s feeling healthy, however, carving time out of your busy schedule to make and keep well-child appointments can seem like a bit of a waste. There are plenty of reasons why well visits are essential, though. Before you put off that next well-child visit, these are just a few of the reasons why you might want to reconsider postponing it. While every child develops and learns at his own pace, it’s still important to have an idea of how he’s developing in relation to an established milestone timeline. His pediatrician will evaluate his size, overall health and emotional and intellectual development during well visits, which will either give you peace of mind that he’s coming along right on schedule, or a heads up that special attention may be required. If you have any concerns about your child’s development, a well visit is the ideal time to approach them with his pediatrician to determine what, if any, special action needs to be taken. Though the subject of immunizations is something of a hot-button topic in many parenting circles, it’s still your responsibility as a parent to make the most informed choice you can regarding your decision to vaccinate. During a well visit, you can discuss your concerns or questions regarding immunization schedules, your motivations for considering opting out of vaccinating or your reasons for choosing to adhere to the prescribed immunization plan. 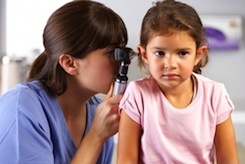 Your child’s pediatrician is one of your most reliable sources of scientifically-sound information when it comes to immunization, and her opinion should not be overlooked. In order for the relationship between yourself, your child and his pediatrician to be a productive and effective one, you’ll need to keep his well-child appointments. After all, how many chances will your pediatrician have to get to know you and your child if he only comes in for the occasional runny nose? Your child’s pediatrician is your first line of defense and biggest ally when it comes to preserving and maintaining his good health, so don’t neglect the importance of well-visits in terms of building that relationship. Whether you’re getting ready to enroll your child in an early preschool program or are finally ready to take the plunge into kindergarten, well visits with your pediatrician will help you determine your child’s level of readiness. If there are areas in which he’ll need a bit of extra attention, his pediatrician will be able to not only point them out but also help you figure out the most effective methods of meeting those goals. If your child is one of the millions in America that takes daily prescription medications, well-child and maintenance visits are essential aspects of making sure that the dosage and prescriptions chosen are the right ones to meet his needs. It’s never a good idea to skip out on well visits when you have a child who requires daily medication, even if his symptoms seem to be under control and the medication is working beautifully. When your child is an infant, his pediatrician can help you to find the best formula for his body or a lactation consultant to promote successful nursing. As he gets older, she’ll provide valuable counseling regarding his nutrition and dietary habits. Obesity is a skyrocketing epidemic among American kids and teens, but your child’s pediatrician can help you find the most effective ways to monitor and maintain your child’s diet so that it’s healthy, balanced and nutritious. These sessions will almost always take place during well visits, unless dietary concerns are part of the reason behind an appointment made to address a potential health issue. When your child gets older and is able to participate more in his doctor’s appointments, well-child visits will give him the opportunity to ask any questions he may have regarding his health or the way his body works. Establishing a strong bond from an early age by keeping your well visit appointments will make it easier for him to approach her later, so don’t skip out on them. Leaving the security and familiarity of a well-loved crib for the new experience of a “big kid” bed can be exciting for your toddler, but it can also be a bit scary. Because kids thrive under a routine and become reliant upon the ones that have been established, helping your child to acclimate himself to spending nights in a new bed will require a bit of finesse and plenty of patience. Because a toddler can get out of a regular bed much more easily than he can extricate himself from a crib, you’ll have to create a bedtime routine that allows him to satisfy any bodily needs before bedtime and helps him understand the importance of staying in bed after a certain point. In the beginning phase of the transition, you may find that it’s helpful to start preparing for bed an hour earlier than normal, talking about each step so that he knows the normal sequence. Share a bedtime story, and be prepared to send him back to bed several times in the beginning. Don’t shout or scold a child that won’t stay in his new bed, just direct him back with little to no discussion. Mastering the art of potty training while trying to get used to a new bed or reaching other big milestones can put too much pressure on a toddler, so try to work on one major milestone at a time. It’s generally easier to potty train a child after he’s transitioned to a bed he can easily get out of if nature calls during the nighttime hours, but trying to help him make two major changes in his life can be overwhelming and can actually cause him to regress in some areas. A child that feels a sense of ownership over his new bed and excitement about the new arrangement is more likely to transition successfully than one that feels forced into a situation he has little to no control over. If possible, let him have a say in the choosing of his new bed, or at least the purchase of new bedding. Try to foster a sense of excitement by talking the new bed up as much as possible, and maintaining an optimistic and upbeat attitude. Remember that your child will take his cues regarding the appropriate reaction to a new situation from your behavior. If you seem anxious or reticent about making the change, he’ll almost certainly pick up on that anxiety and mirror your reaction. It’s important for kids to understand that their new bed is for sleeping in all of the time, not just at night. Make sure that any private, in-home childcare providers are on board with the change. Establish guidelines about afternoon naps, so that your child understands where she’s supposed to be sleeping. Napping in the crib and spending the night in a new bed is confusing for your toddler, which is the last thing she needs during a major transition. The most important part of helping your toddler to transition to a new bed is understanding that the process will take a bit of time. Some kids naturally deal with change better than others, but it’s important to be consistent. Switching back to a crib because your child is struggling to become accustomed to his new bed might gain a temporary reprieve from the stress of the situation, but will only make the inevitable switch more difficult down the road. As with so many changes and milestones in kids’ lives, consistency is key. Having a live-in nanny is a very unique experience. Your nanny is your employee, yet she lives and works in your home too. The line between the personal and professional relationship is easily blurred and it’s hard to find and keep a comfortable balance in the employment relationship. One of the biggest obstacles many employers face is that they don’t fully understand what having a live-in nanny means in practical terms. Here’s an outline of the responsibilities parents take on when they hire a live-in. You must provide clean, comfortable, furnished living quarters. There are no legal requirements for the living quarters of your live-in nanny. However, the industry standard is that you provide a separate, private bedroom and generally a private bathroom. Occasionally, you’ll find a nanny who is willing to share a bathroom with the children, but that is rare and the arrangement usually doesn’t last long. The furnishings don’t need to be lavish; functional and comfortable is fine. It’s a nice gesture to provide your new nanny with a gift card so she can buy some things to personalize her space. A fun rug or new comforter set will go a long way to making her feel at home when starting a new job. View the nanny’s living quarters with an objective eye before beginning your search. Is the space something she’ll be comfortable in? Does it provide her with reasonable privacy? When hiring a live-in nanny, the type of living quarters you offer is a huge factor in attracting top candidates. You should provide all meals. Since your nanny will be living and working in your home, it’s your responsibility to provide all meals on and off duty. This doesn’t mean you have to cook for your nanny or invite her to your family meals. It does mean you should make sure she has enough food available so she can easily prepare her own meals. Remember, your nanny may have very different food preferences than you do, so she should be given the opportunity to add items to the grocery list, do her own shopping using the household account or be provided a weekly food stipend. While it’s important to make sure your nanny has food she enjoys, you don’t have to break the bank to do it. Your nanny’s food list should be reasonable and affordable. Because this issue is so unique and different and people have different ideas of “reasonable,” it’s a good idea to talk about this aspect of the job before the nanny starts. This will avoid any confusion later on. Your nanny should be welcome 24/7. Unless you hire your nanny to be a live-in only during the work week, you should welcome your nanny in your home 24/7. Live-in nannies think of their living quarters as their home, not simply as where they stay for their job. This welcoming attitude goes a long way with caregivers and helps make the nanny/parent relationship work. It’s essential to have appropriate boundaries. It can be hard to establish and keep appropriate boundaries for both the nanny and the family in a live-in situation. However boundaries are essential to a long term, successful employment relationship. Make sure that you respect your nanny’s off time. When she’s not on the clock, you should be fully responsible for the kids. It’s easy to ask your nanny to listen for the baby during nap time so you can take a quick run or distract your toddler for 15 minutes so you can return an important work call. However, that’s unfair to the nanny. Imagine if your employer was able to pop his head in at your home during your off time and ask you to quickly look over a brief or handle a client’s problem. Your nanny needs to know that you respect her need for privacy and down time. Treat your nanny as an adult, not an older child. Even though she’s living in your home, she’s still an adult and should be treated that way. 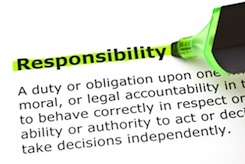 Imposing curfews, not allowing guests and monitoring her activities are not appropriate things for an employer to do. Of course you have the right to set reasonable limits around the use of your home, but work with your nanny to find limits that work for both of you. Remember, this is the person you trust to care for the health and safety of your child. Surely you can trust in her good judgment to be a responsible and respectful part of your household. Having a live-in nanny can be a great solution to your childcare needs. By embracing the responsibilities as well as the advantages of live-in help, you can have a successful working relationship.